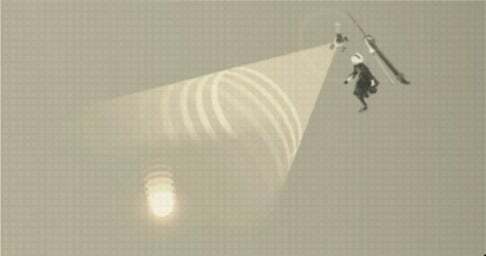 A170: Scanner is a Pod Program in Nier: Automata. A non-combat Pod Program that creates a pinging sound. The faster the pinging sound, the closer you are to a hidden item. When you are close to the hidden item, it will create a cone of light pointing to the item. It can be used to find rare crafting materials, weapons, quest items, and archive data. You can't glide while using the scanner, so be careful that you don't jump off a cliff while using it.